Community helpers are important people to both children and adults. This activity builds on children’s experiences in the world and incorporates literacy in children’s play. Learning about different community helpers builds children’s knowledge of the world around them. They understand more about people and jobs in their neighborhoods and towns. They learn about how a community works together. They begin to see how they can fit into their society. They begin to think about different kinds of work and try out different types of roles. 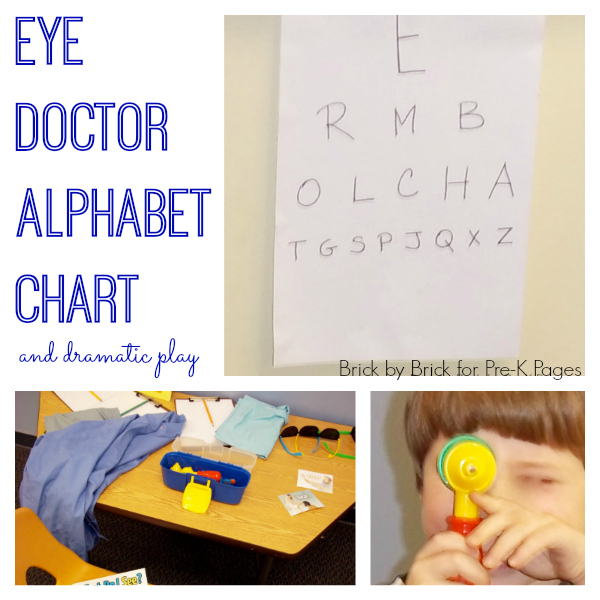 For this activity, you can create charts to name alphabet letters. You could just focus on letter identification or you can create a dramatic play center that incorporates the charts and pretend play. Create simple alphabet charts by printing letters in a pyramid format. Print one letter centered at the top of the page, three letters centered under the first one, five letters centered under the three, and so forth. Use letters familiar to the children. What letters are the most familiar? The ones in their names! Print a chart for each child’s name. Or print the initial letters of each child’s name on one chart. I printed my chart with a marker on plain white paper. You could also create your chart on the computer. Tape the chart to a wall or lay it on a table. Lead kids to name the letters they see. Point to a letter for kids to name. 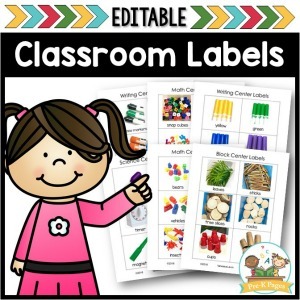 Invite kids to take turns pointing to letters and naming letters. 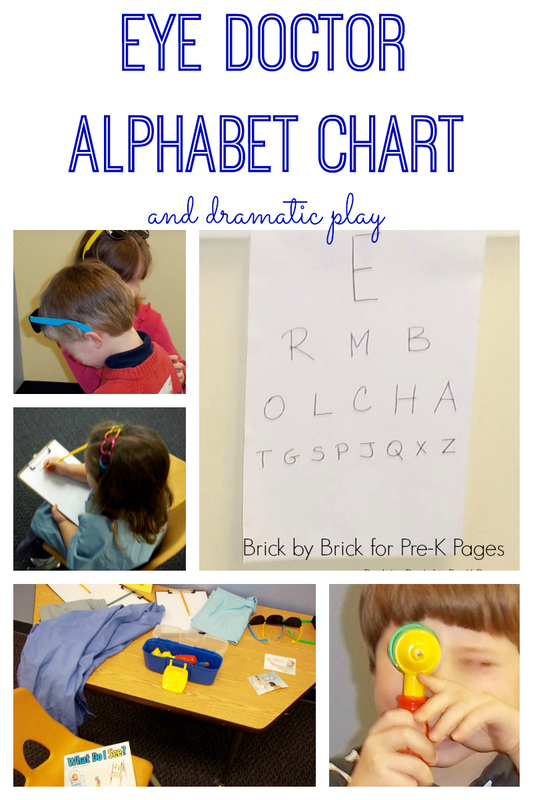 Allow them to develop their own games with the alphabet chart. 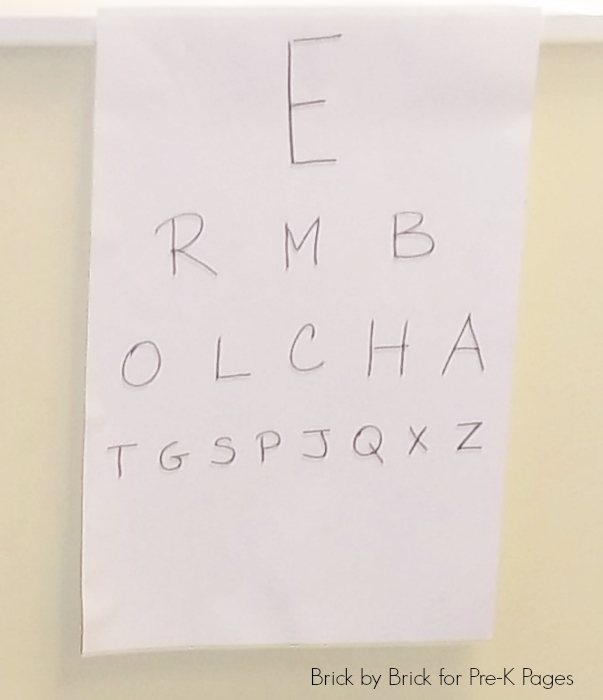 Talk about visiting the eye doctor. Listen as kids relate their own experiences. Introduce the words optometrist and ophthalmologist to children as interest continues. Play a game with the alphabet charts. Call out a letter. Kids can use self-stick notes to cover that letter on the chart. Make your space as simple or elaborate as you choose. Include props you have but remember that kids will still have great pretend play with only a few items. 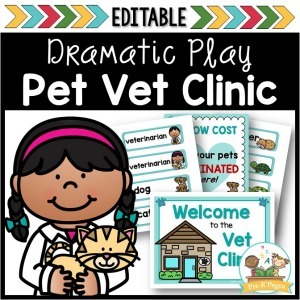 You could also use the Dramatic Play Doctor’s Office Kit in your center. Encourage some kids to be the doctors and other staff and other kids to be the patients. Talk about how people work together in a community to help. I encourage kids to use the materials in their own ways. One child in my class created a form for patients to fill out (just like the real doctor’s office!). 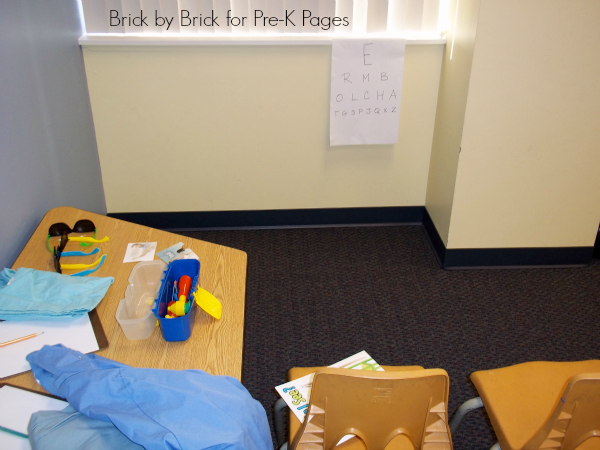 The eye doctor may be a new dramatic play experience for some kids. Talk about how to take care of bodies, including eyes. Help kids think about why going to the doctor, dentist, eye doctor, and other health professionals are important things for people to do. 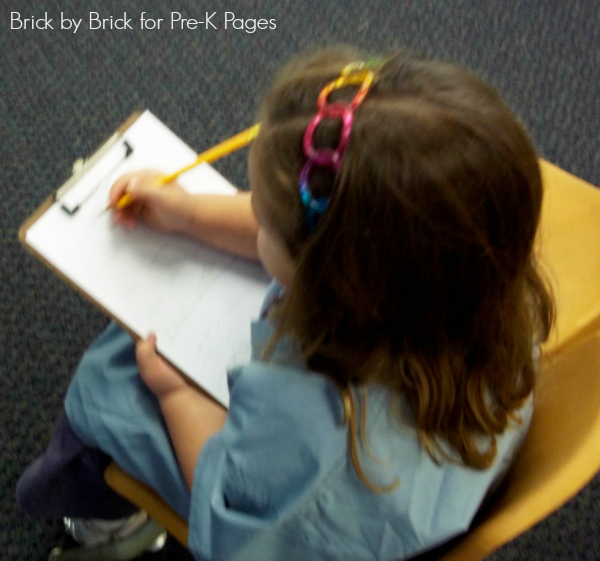 Incorporating literacy in all kinds of play helps kids build their literacy skills. Recognizing letters, writing, and using books and magazines are all ways to build literacy through this activity. 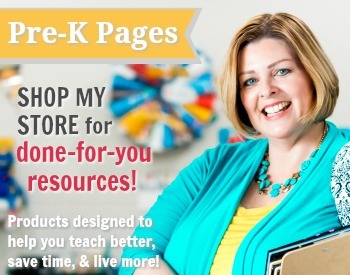 Follow my Community Helpers Pinterest Board for more great ideas! What a great way to learn the letters through play! Great idea for learning letters. Wonderful blog! Thank you for the ESGI giveaway! This I a great idea, thanks for sharing! A fun idea for dramatic play! I’m excited for the ESGI giveaway! Thanks! Great site! Excited for the giveaway! I love this idea. This is also a creative way for students to have fun identifying and learning their alphabets. AWESOME! 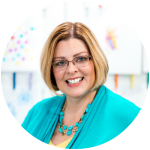 What great ideas you have and thanks for taking the time to blog about them! 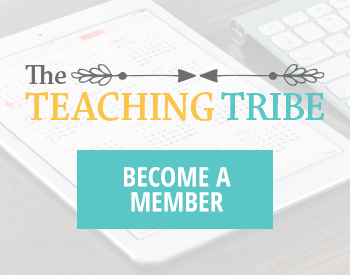 This giveaway is a great opportunity for teachers.